Hot off the back of announcing our new drag and drop editor last week, today we have a whole host of product enhancements to share with you. 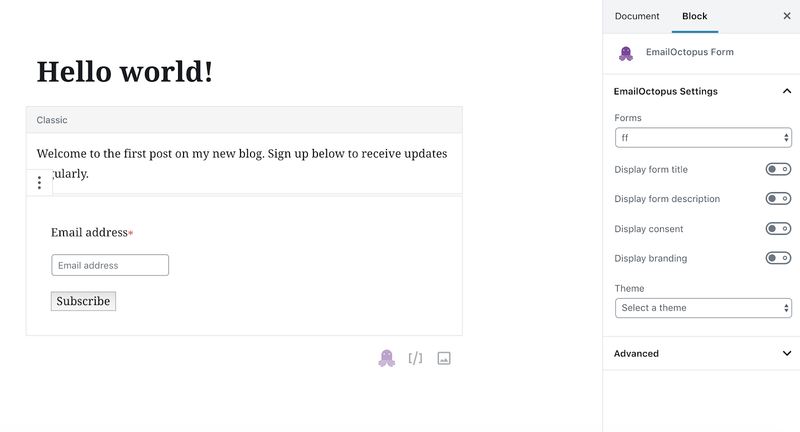 We’ve been listening to your feedback on our WordPress integration, and we’re excited to launch six big improvements to make building your subscriber lists easier than ever. If you’ve already been making the most of our WordPress plugin, then you’ll know that – until now – you’ve been limited to capturing first and last name. 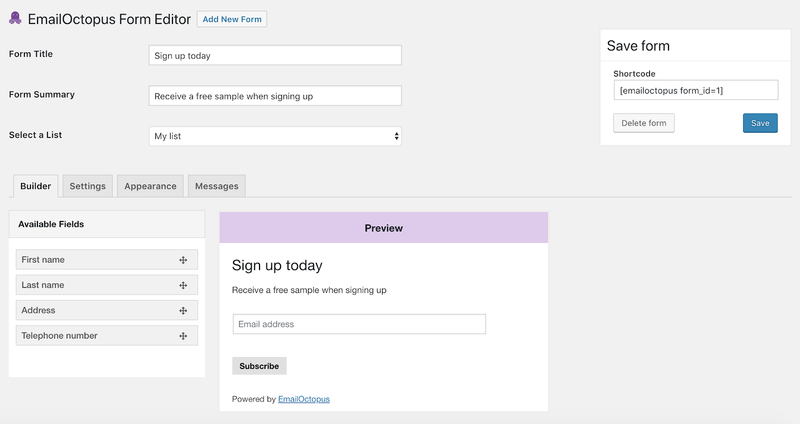 Now when you create a signup form, you’ll be able to add any field you use in EmailOctopus. Once your form’s created, you’ll still be able to use it as a widget – but now you’ll have the option of creating a shortcode as well. This means you’re not restricted to putting your form in the sidebar. Add it to the bottom of blog posts, pages or anywhere you like. WordPress are just about to launch their new Gutenberg editor, which will transform and simplify the way you build your content – and the revamped EmailOctopus plugin is ready to work alongside it. This means that you’ll be able to make custom changes to forms on each individual page or post, rather than applying global changes. 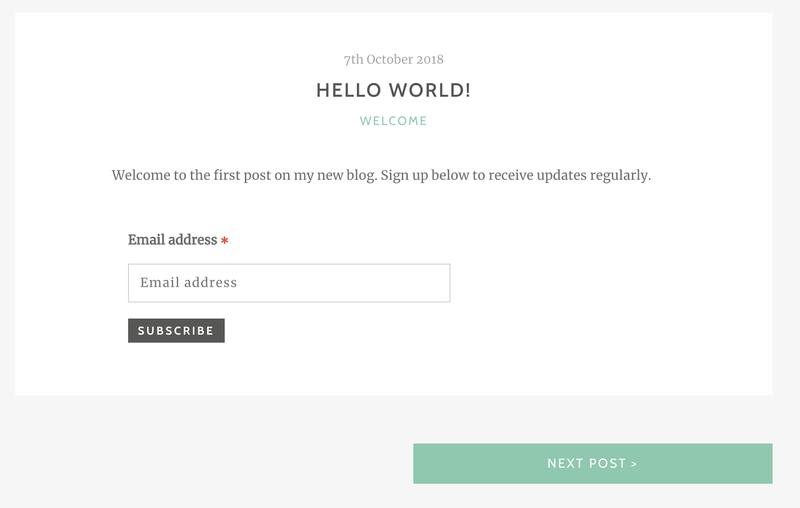 To making styling easy, your EmailOctopus form will automatically inherit the look and feel of your WordPress theme. 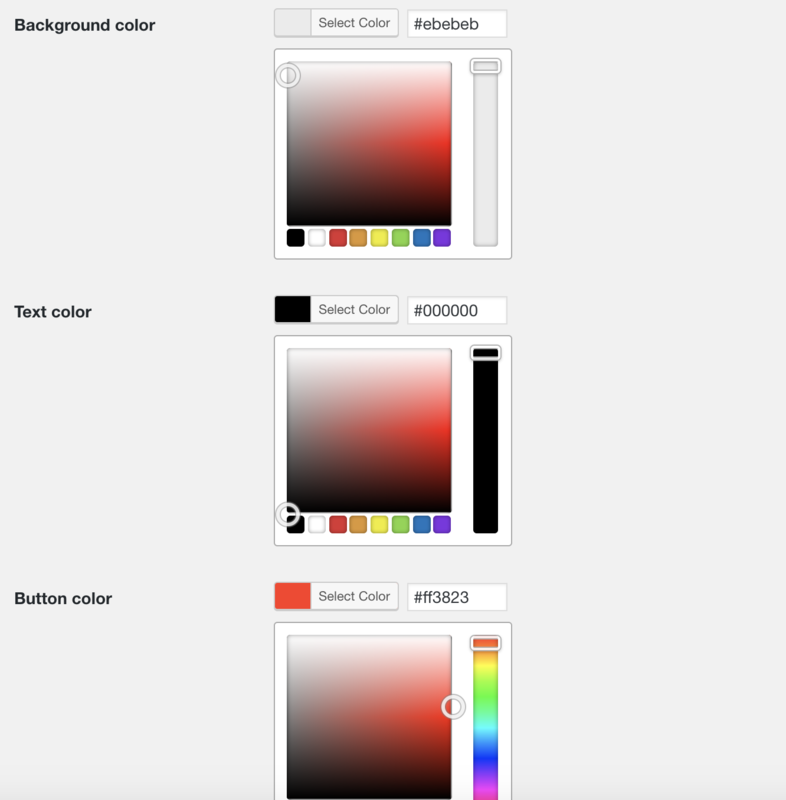 But if you want more customisation, we’ve also made it easy to change the colour of your buttons and backgrounds. The plugin now supports multiple languages natively, so your form can match the language of your website. We’ve also built in more flexibility to allow you to customise messaging across your form – so you decide what the user sees when they subscribe successfully or enter invalid information. It’s now easier to get the consent you need to ensure you’re complying with GDPR. Simply add in one of our pre-built checkboxes and rest easy.